Reykjavik Iceland offers a wide variety of locally produced unique items that cannot be found anywhere else in the world. Many trendy shops, boutiques and galleries sit in the shadow of Hallgrimskirkja on the main shopping streets of Laugavegur and Skolavordustigur. 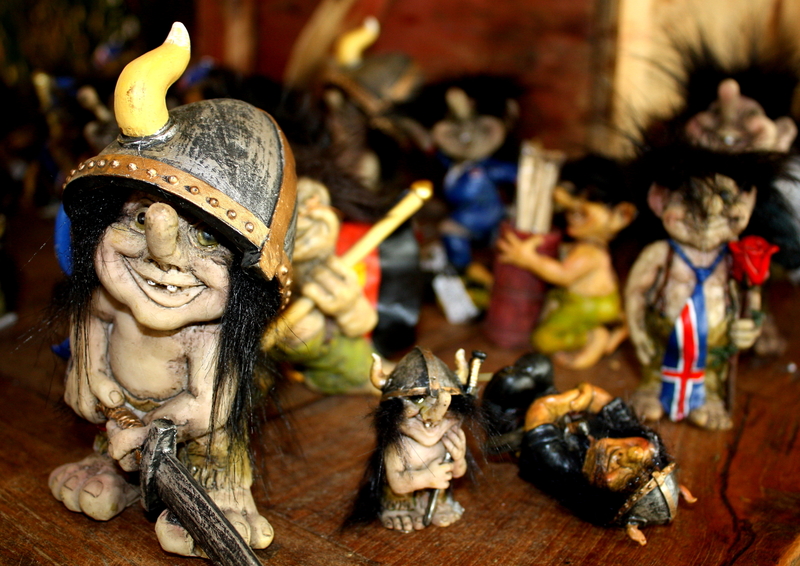 Find out what to buy and where to shop with this handy guide to Reykjavik shopping. Iceland is one of the few countries that offer a no-hassle tax-free shopping program. This tax break entitles tourists who purchase more than 4000 ISK worth of products in a store to receive a 15% refund on the items they bought. There is no red-tape when using this program, simply ask the store for the tax free form and the receipts. Then simply bring them to the Reykjavik Tourist Information center in the city center or to the airport when departing for the immediate refund. This money saving tax-deduction applies to souvenirs, clothing, and many other items. 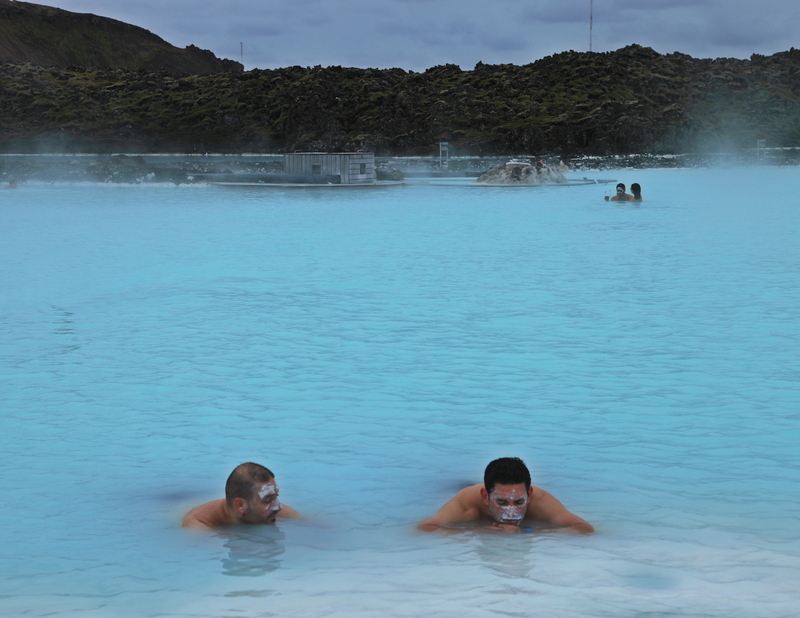 The Blue Lagoon is a luxury geothermal spa located near the airport. Visitors travel from all over the world to soak in the lagoon for it proposed healing and anti-aging properties. The unique products sold by the spa, contain the active ingredients; silica, algae, and minerals, found in the lagoon’s seawater. Some of the spa’s most popular selling items are the Silica Mud Masks, the Mineral Intensive Cream, and the full line of anti-aging creams and serums. For a true Icelandic experience visit the spa and try the new Volcano Scrub and Algae Mask, which contains lava from the surrounding lava fields and algae from the rich geothermal lagoon water. A trip to the surreal misty waters of the Blue Lagoon is a must for any visitor to Iceland, but if that is not possible, products can be purchased at one of the conveniently located shops in Reykjavik’s city center or at Keflavík Airport. Clothing boutiques selling designs on the cutting edge of Icelandic fashion line the main strip of the city center. For a true taste of current Icelandic fashions stop in GuST; a trendy clothing boutique owned by fashion designer Guðrún Kristín Sveinbjörnsdóttir. This ultra-modern collection contains innovative and quirky outfits made from traditional Icelandic products like wool, as well as the hottest new Icelandic raw materials like fish leather. Serious shoppers will enjoy an excursion to nearby Smáralind; one of Iceland’s leading malls. Located just outside Reykjavik, Smáralind boasts over 80 international and Icelandic stores such as Zara, Debenhams, Hugo Boss, and 66° North. One great benefit to shopping at the mall is visitors can get their tax rebate immediately by visiting the customer service desk. Smáralind is home to an enormous cinema and two popular shows have even been filmed there; Icelandic Idol and the Icelandic X-Factor. Iceland can be credited with the difficult task of making wool appear trendy. Iceland offers shoppers an enormous selection of locally produced wool products such as sweaters, hats and scarves to choose from. One popular tourist item is the lopapeysa or the traditional woolen sweater. 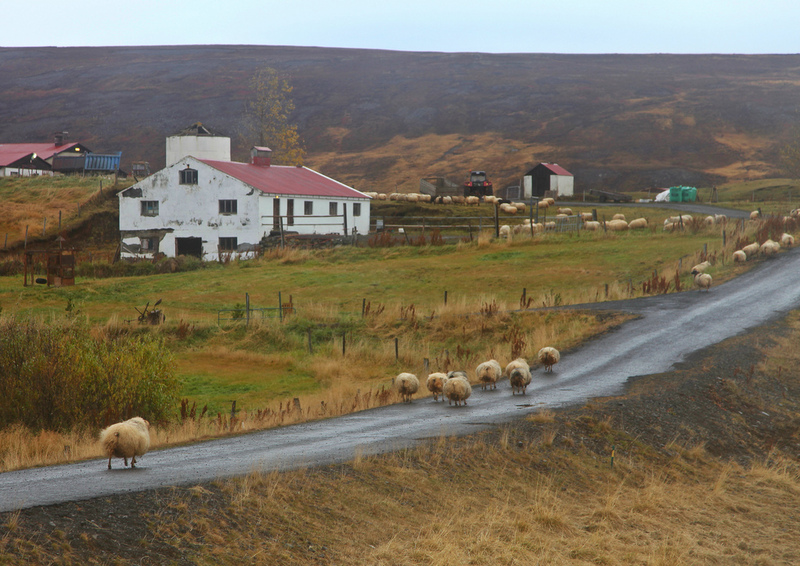 Stop at the Handknitting Association of Iceland located at Skólavörðustígur 19, to purchase handmade items made from Icelandic sheep‘s wool. Knitting enthusiasts can purchase patterns, Álafoss Lopi yarn, and other materials to make their own lopapeysas. Before heading out to go dog sledding or glacier hiking gear up at Cintamani; Iceland’s leading provider of high-quality but fashionable outdoor clothing. Offering a full line of woolen sweaters, fleece zip-ups, and jackets that are designed to withstand the most extreme weather conditions in Iceland. Try on an ultra warm sweater from the Technowool line, guaranteed to provide protection even in the wettest and windiest conditions up on the glaciers. After shopping consult with Cintamani’s on sight adventure expert about excursions available in and around Reykjavik. For the adventurous diner, the flea market is a great place to sample Icelandic specialties such as Hákarl; chunks of fermented shark meat. The shark meat is prepared by burying it underground for up to six months to remove the toxins so that it is safe to eat. Locals suggest washing it down with a shot of Black Death or Brennivín; an alcoholic beverage similar to snapps, made from fermented potato pulp. 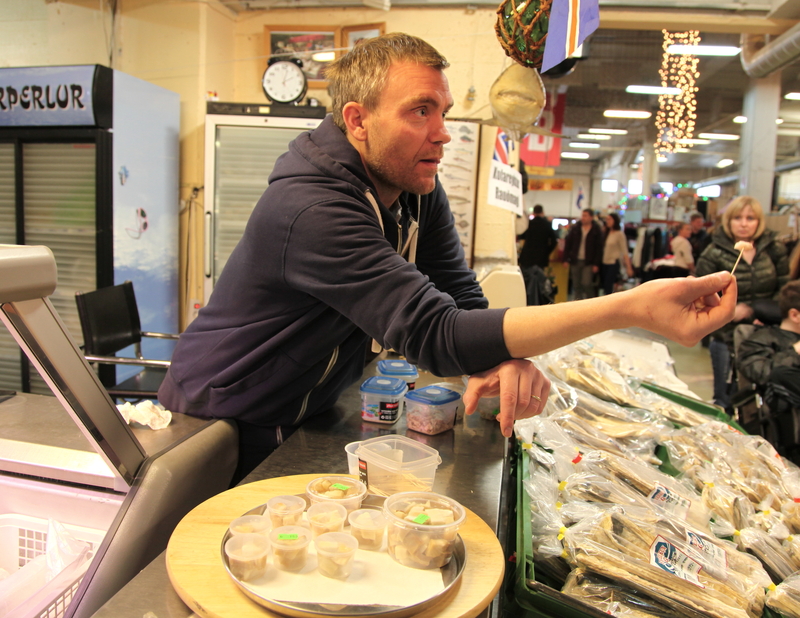 Visitors can purchase Hákarl and other traditional foods such as dried fish, lamb pate, or horse meat sausages from the food section of the flea market. In addition to the flea market, local supermarkets stock a fine selection of rich chocolates, delicious coffee, and traditional delicacies with much cheaper prices than the duty free shops at the airport. A favorite pastime while on vacation is souvenir shopping. Iceland is no exception, high quality souvenir and specialty shops packed with stuffed puffin key chains and ubiquitous woolen socks line the main shopping district. But for a different souvenir shopping experience visit the Perlan’s gift shop. Famous for its massive blue dome that sits on top the six giant water tanks that hold the cities water supply, the Perlan’s outdoor viewing deck boasts the best panoramic views of Reykjavik. 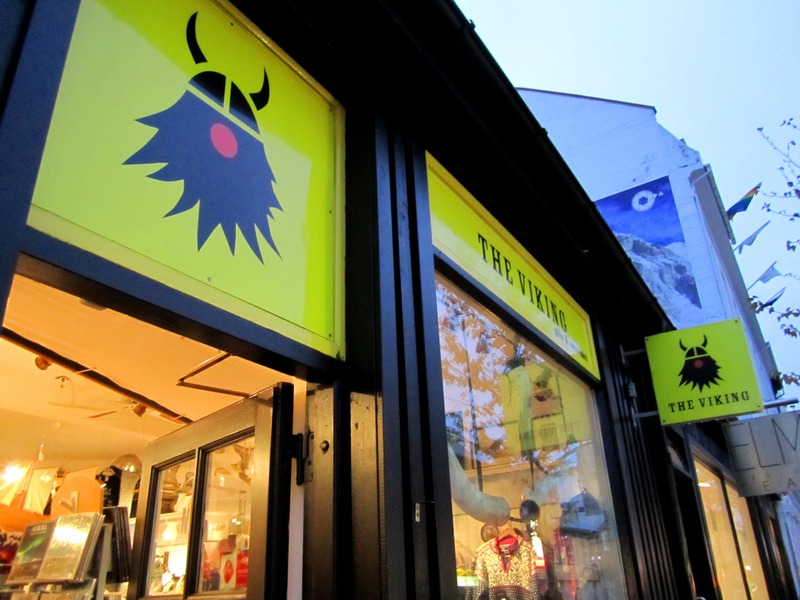 Another fun place for souvenirs is the Viking shop, this large store sells a wide range of traditional Icelandic clothes, Viking accessories, animal skins, books, and souvenirs. Visitors will also find some unique specialty shops located at the old harbor and around Vesturgata street. Reykjavik is a unique shopping destination full of fun souvenir shops, art galleries, jewelry shops, and hip clothing stores. This charming city with its quaint shops and trendy boutiques will not disappoint even the most serious of shoppers who visit. This entry was posted in Arctic and tagged buying wool in iceland, Hallgrímskirkja, iceland, Icelandic, Icelandic sheep, reykjavik, shopping in iceland, shopping in reykjavik, Sweater, what to buy in iceland. Bookmark the permalink.